Most visitors get to your web site by conducting a search using Google, Yahoo, MSN or some other search engine. They enter keywords (search terms) and, if your site ranks high in relevance to those keywords, you get site traffic driven by search engine results. And, if you get site traffic you make sales. And if you make sales, you become profitable. The success of your on-line venture depends on effective web site optimization — optimization to make your web site search engine friendly. When you talk to most web designers, you’ll hear a lot about the importance of keywords, title tags, and other HTML conventions used by search engine spiders to determine just what a site is about. Pick the wrong keywords and you may end up mis-indexed or partially indexed by a search engine. Not good. But SEO goes far beyond the HTML code used to construct a website. With SEO, everything counts. Header size? You bet. The bigger the header, the more important the information, or so spiders figure. Text that’s bolded or italicized is given more weight, too. Positioning of content, keyword placement, embedded text links, a detailed site map; all of these and more contribute to web site optimization and to your ultimate success. Unfortunately, most designers neglect the human side of SEO — the site skin that’s viewed by humans and crawled by spiders. If that text isn’t crystal clear, don’t expect a spider to figure it out. Keyword placement — the right keywords in the right places — is critical. As spiders crawl site text, they count up keywords and the more times certain keywords appear, the more weight they’re given by search engines — to a point. If you take keyword density too far and cram site text with useless or misleading keywords, you’ll get slammed by spiders. And that’s the key to real SEO — to develop content that’s both search engine friendly and engaging to visitors. 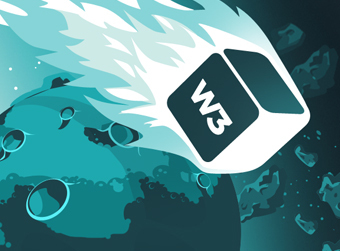 At W3 EDGE, we understand search engine spiders and their limitations. We also understand what visitors expect. If you don’t keep both spiders and humans happy, you’ll become part of the 94% of all web sites that crash and burn. That’s why you need SEO professionals who know how to squeeze every ounce of optimization from your site. Call us. Click us. Contact us. Whether you’re the owner of an under-performing site, or just starting the design of a new on-line enterprise, we’ll improve your site optimization front to back — so spiders get it and visitors love it. W3 EDGE is the industry leader in search engine optimization for a reason. Get in touch for a no-obligation review of your site to see why.